It’s been an insane month. Right before work ended for the school year for me, I found out that we’d be moving soon. By soon, I mean 2 weeks after I finished work. Packing up my classroom was a breeze, but then coming home after long and crazy days required me to pack up our apartment that we’ve lived in for 2 and a half years. Once work finished, Mathew still had to work, leaving me packing up our entire place pretty much by myself. Needless to say, I haven’t been wanting to make my chalkboards, and I haven’t been wanting to blog. Moving takes a lot out of you, especially at 24-26 weeks pregnant! Luckily, I had several moving tips and tricks that helped us with our move. 1. 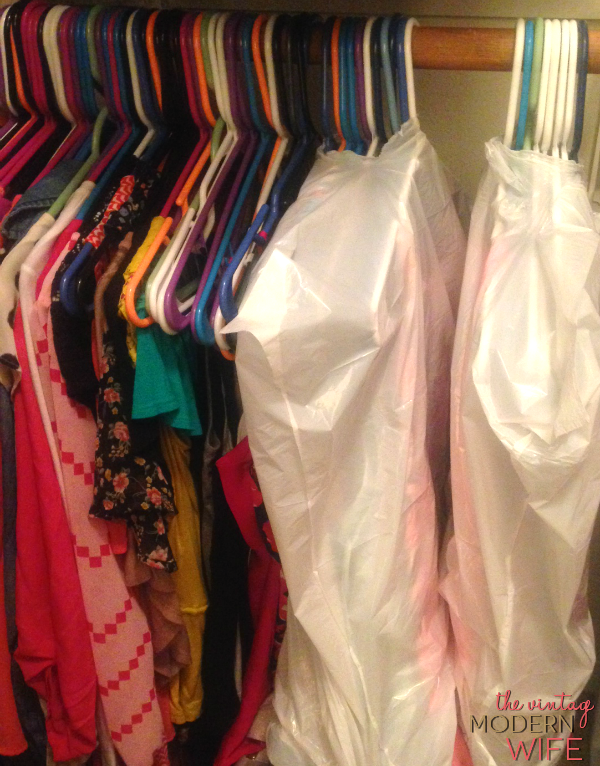 Use trash bags for your clothes: Keep your clothes on their hangers and put a hole in the bottom of the bag. Turn the bag upside down and pull the hangers through (like a dress bag). Then tie a knot on the bottom. 2. Use saran wrap for spices/soaps: Have pumps of soap, shampoos, or oil/vinegar dispensers? It’s a pain to try to empty them just for a move, so get a piece of saran wrap, put it in between the lid and the bottle, and put the lid on top as usual. The saran wrap will hold the liquid in place. Once you get to your new home, just take out the saran wrap and start using it! 3. 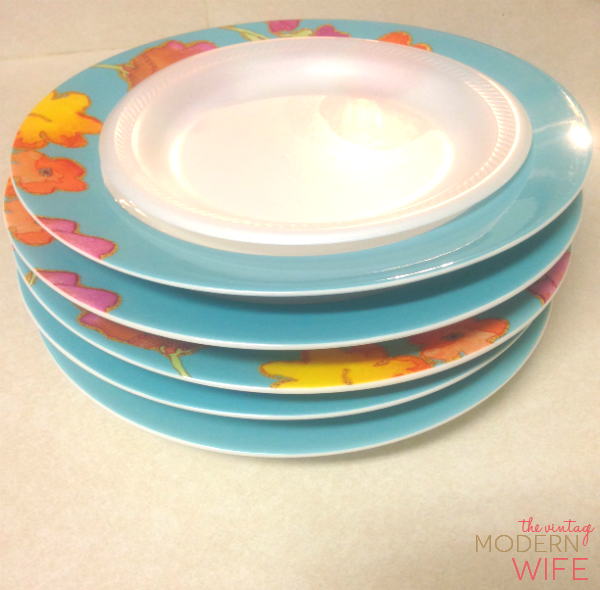 Use styrofoam plates to protect your china: Alternate styrofoam plates with your china plates to keep them save during the move. It saves time from individually wrapping, especially if you’re just moving across town. 4. 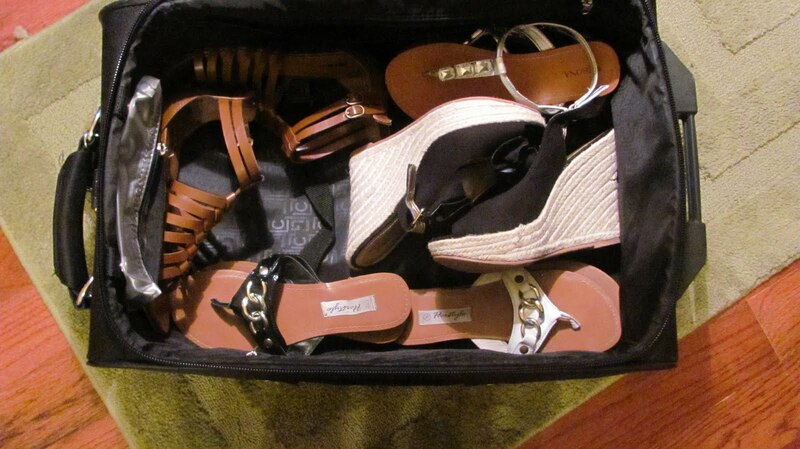 Pack your shoes in a suitcase: Packing your shoes in a suitcase is one of my favorite moving tips and tricks. Shoes can get REALLY heavy in boxes, so if you have luggage that rolls, put your shoes in them and they’ll be easier to transport. You can also do this with books if you don’t have too many. 5. Label those nails: Any time you take down a decoration in your old home, put the nails or screws into a snack size ziploc bag and label it with a sharpie. It’ll keep them organized and you won’t have to worry about which size nail you need or how many. You can tape the bag to your decoration, so it’s easy to find once you’ve moved into your new place. 6. Organize those necklaces: I don’t know about you, but I have a TON of necklaces. I was able to throw my chunky necklaces into some fabric makeup bags, but for more delicate pieces, I strung my necklaces through a straw. It kept them from tangling, and saved me so much hassle! 7. 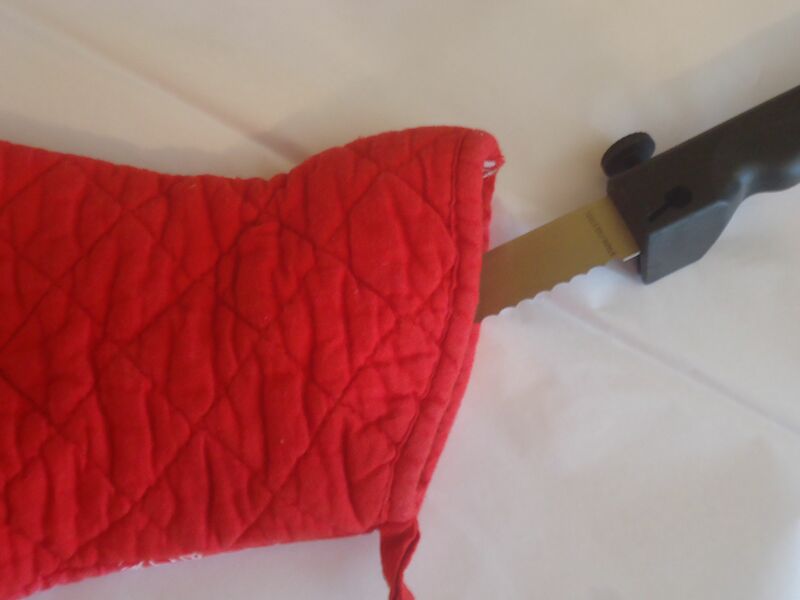 Use pot holders for knife safety: Don’t have a knife block? You can put your knives into a pot holder to keep anyone from getting poked or cut when you move. I loved this trick and felt better knowing that whoever helped unload our kitchenware would be safe. 8. Gather your friends: I am ever so thankful for friends during this move. 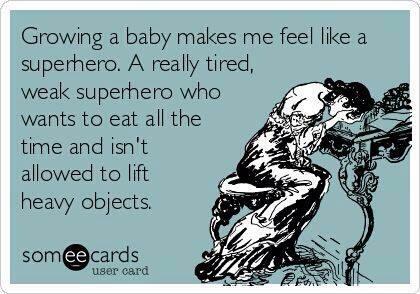 Being pregnant, I’m not allowed to lift over 25 lbs. Not only that, but my family pretty much would get mad at me for bending too much, let alone carry a 5 lb box. Luckily, several friends and family members helped us move from our 2nd story apartment to our new place. Having more friends to help can mean getting the job done sooner (our whole apartment was in a U-Haul within 2.5 hours!) It’s my advice though to make sure you have breakfast for them AND lunch if the job takes that long. Your friends will appreciate the fact that you thought about them and will be more willing to help you again if you ever need. 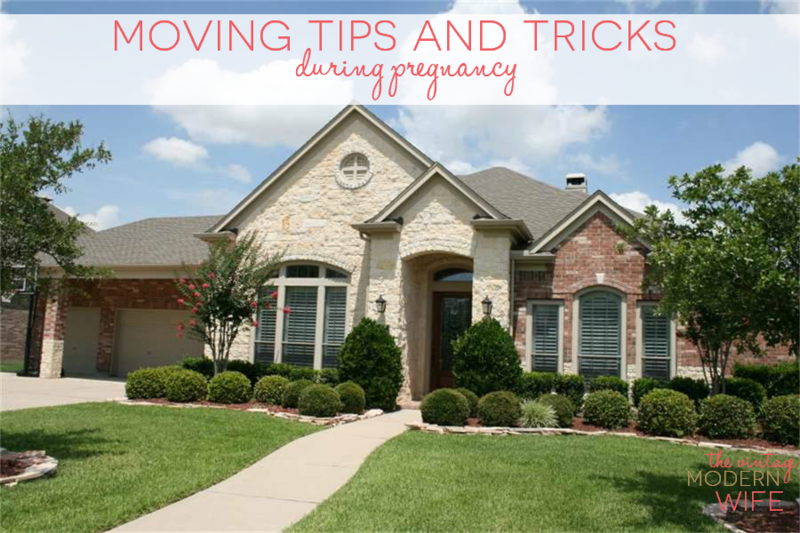 What moving tips and tricks helped you during pregnancy? 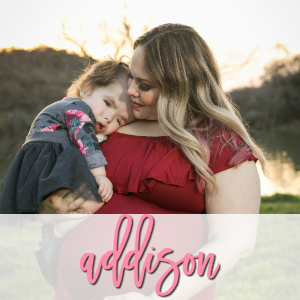 Happies and Crappies: Go Away Winter…and other fun stuff.. 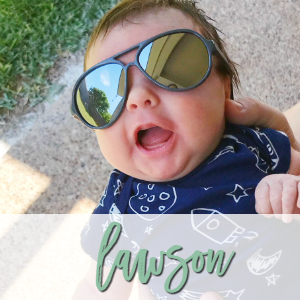 Welcome to our 57th week of Happies and Crappies link up day! H&C wouldn’t have been around for so long if it wasn’t for you awesome ladies linking up, so Amber and I really appreciate you! 1. Monday we will get to see our baby again! It’ll be our 11 week appointment and I can’t wait to see what our baby looks like on an ultrasound now that it’s bigger. With our first ultrasound it looked like a little blueberry, and I’m hoping to see that it really looks like a baby now! 2. We got our income tax return this week and paid off our one and ONLY credit card! It feels so good to just have that out of the way. 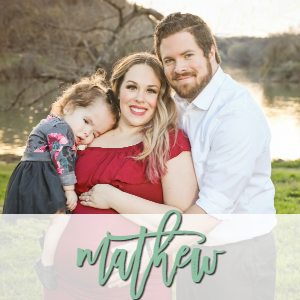 We have paid off several big bills in the past year and I’m just so glad to knock them off of our list! 3. I stayed home sick yesterday because I felt so rotten, and Mathew was so sweet to buy me a rose just out of the kindness of our heart. It just amazes me at how wonderful of a husband he’s truly been. He’s been taking over laundry, dishes, cooking (some days), and even gets up to get me whatever I need. I can not even express to him how amazing he has been, and how thankful I am to have him in my life. I feel like such a burden at times because by the time I get home from work I’m useless. He really is a huge blessing to me. 1. “Morning” sickness has really gotten a hold of me the past week. At first the only reason I really hadn’t been on here was because I was always so exhausted. Now, it’s exhaustion AND vomiting. Ah, that glamorous side to pregnancy. It’s weird though, because the craziest things can make me start to gag…and then it’s all over from there. Last night was one such night, and I was able to hold down some toast after not being to hold down my dinner. I’m seriously ready for this part to be over with. 2. The cold weather is back. I hate it. I’m ready for Spring. Go away Winter.